I have been remiss in my introduction of my newest member of the pack, Halo. I got Halo from my friend Tori at J Cross’ Catahoulas, which is where I also got Ranger. After the loss of Beau in 2012 the house and my heart had an empty spot in it. I wasn’t sure I was ready for a puppy just yet, but this opportunity came along and I couldn’t pass it up. It turns out that Halo was just what I–and everyone in the house–needed. She came to live with us in July 2013. Ranger and Halo formed an instant bond and they’re rarely out of each other’s sight for more than a few minutes (admittedly, this is something I need to work on to prevent separation anxiety with either). Again, Halo is carrying a pack to get used to the feel of it. It’s filled with packing pillows. She’s training up very well. Ranger is the type of dog that needs one task at a time so he can focus on that–and he excels at the one thing you gave him to do. It makes him a challenge to train at times, especially since food and toy rewards don’t always work well for him, and still hasn’t proven himself to be reliable while hiking off leash, so he stays on his leash. Halo, like Beau, loves food. Any kind of food. This has made her very easy to train, by comparison to Ranger. At 10 months old she knows many skills that will make her a good little traildog. Like Ranger, her nose gets her into trouble, so for now she too is on a leash. 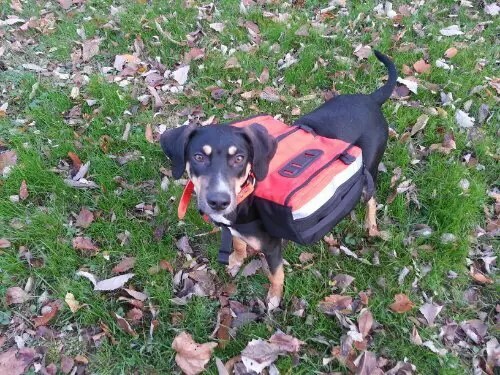 I hope that as she grows she learns that if her pack is on she’s not to go hunting. Beau was able to understand that when he has a pack on he was to stay next to me, so I expect she can learn this, too. Two weeks ago I showed her at a UKC show in Michigan and she showed well–three Best of Breed wins and two Group 2 placements in the Herding Group (11 breeds represented for the first placement and 10 for the second). The BOB wins alone were enough to give her competition for her UKC Conformation Champion title, which is pretty cool. By the way, the dog she beat for BOB? My own Ranger–TD-CH, CA, UWPCH, GRCH, J Cross’ Currahee, WPSGRCH. Don’t worry, he got his share of winnings, too. Three Best of Breed wins and a Group 3 placement with 8 breeds represented. He also got to play with a new dog sport that I hope to try him in this summer–Barn Hunts. I’ll post about that if I do end up pursuing that. 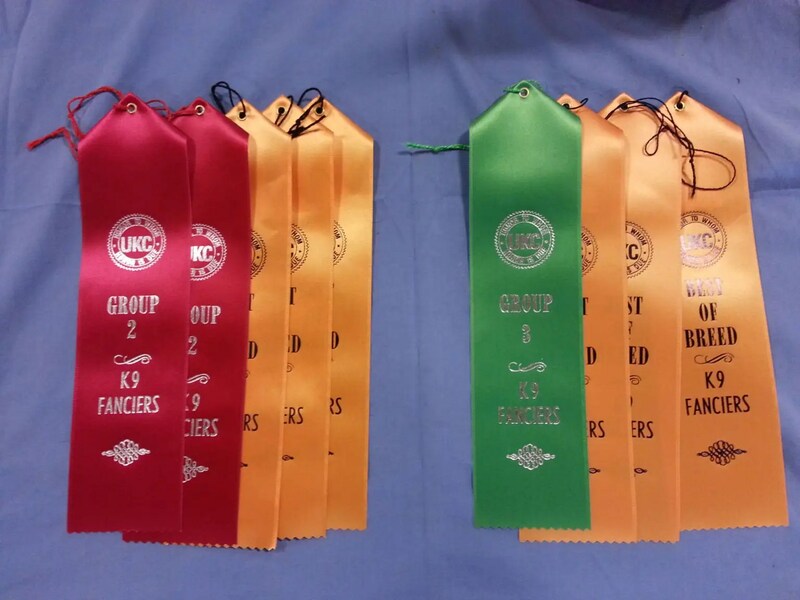 Halo’s wins (L) and Ranger’s wins (R) from the 2014 UKC Michigan Classic. 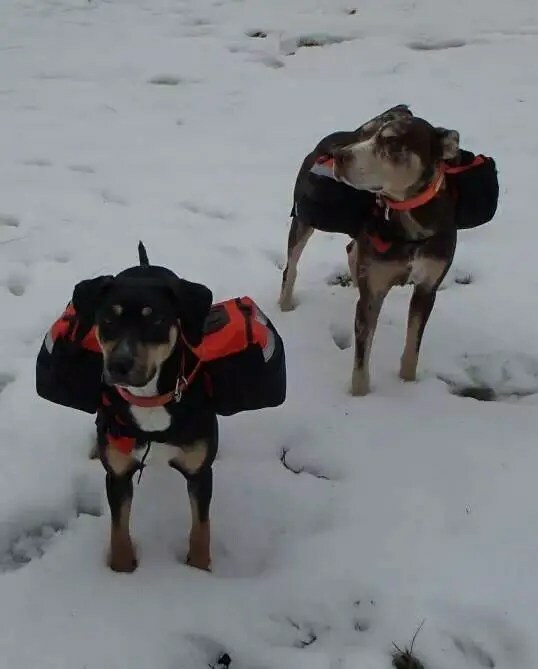 Many other changes are coming to my life soon, which means more time to play with and train the dogs, more time on the trail, and more things to share here. I’m looking forward to all of it.